If you work from home, you're likely already in the process of making that space feel like a place where you feel at ease and motivated to get things done. 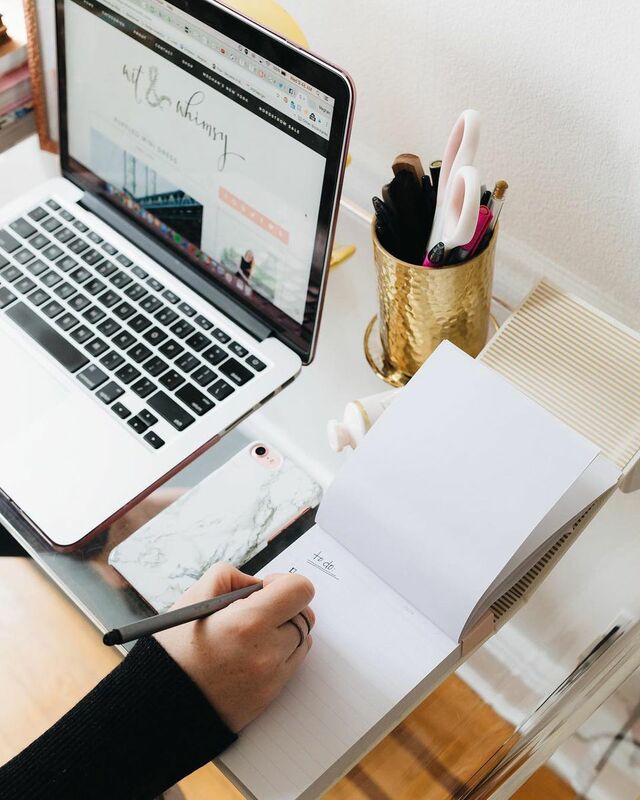 If you go into an office each day, your options are a bit more limited, but you can still make your workspace an organized, stylish haven of productivity. Whether you're outfitting a space in your own home to be an office or need to spruce up your little corner of a much bigger workspace, we found 15 beautiful, practical and functional decor pieces that will help you feel inspired every day of your Monday through Friday grind. 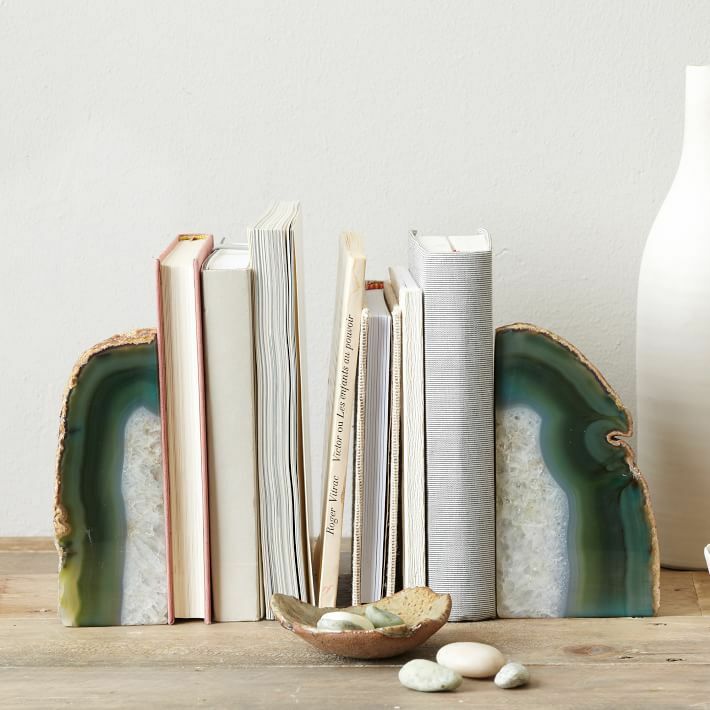 To put a little personality in an intellectual office full of books, journals or case studies, we love the look of these natural agate bookends from West Elm. Use them to set a few special tomes apart from the pack, or as your special place of honor for the few titles you keep in your workspace. NGV Design -- Charles Eames and Herman Miller, lounge chair 670, 1956. Everyone needs a good place to think, right? In our minds, there's no better spot to get all your best ideas than a classic, timeless Eames chair. Black leather is the traditional choice, but for an airy office that deserves a unique touch, consider ivory or white leather, which you can find at Design Within Reach. Desktop Storage Drawer Set, Gold - Threshold™. Ugh, paperwork! One way to feel less terrible about all the papers and clutter you might have—files, resumes, notes, contracts, whatever!—is to store and organize them in these stylish gold drawers we found at Target for just $25. "Tete De Femme" -- Pablo Picasso (print). We believe every room, no matter its purpose, should contain at least one piece of art. And in an office that might be dominated by practical furniture and neutral pieces, a fun print like this colorful Picasso could add just the right amount of life and light to the space. While it doesn't have drawers or storage of any kind—that's actually the simplistic beauty of this acrylic desk from CB2. You'll be forced to keep your desk clutter limited only to the things you're okay with looking at all day long. Elsie Upholstered Office Chair -- Blush. Who says an office chair has to be boring? This upholstered pink chair from World Market has a fun and feminine look we could see as the perfect compliment to an acrylic desk. We've been seeing these affordable book towers in lots of magazines and home tour photoshoots, and with good reason! The shelves disappear once you start stacking up the books, creating a personalized display of all your favorite titles. While cork boards tend to have a distinct dorm room feel, this linen pinboard from Pottery Barn gives you the same surface area—perfect for displaying vision boards, notes, calendars, and photos—with a grown-up, sophisticated look. For some reason, these stripes just jump out at us as the perfect pattern for a home office. This Mati rug from Safavieh is available from Target in 15 colors, which means there's a stripe for every style. While we do most of our writing on computers these days, nothing beats a hand-written to-do list. And we not sure why, but looking at a nice collection of pens just puts us in the mood to jot things down! This acrylic and gold container from Kate Spade is as pretty as it is practical. If you're someone who likes to have a soundtrack while you were—whether it's music or podcasts or the radio, a super high-quality little Bluetooth speaker like this one from Bose is a worthy investment for your home office. 4" Live Assorted Hardy Plant - Set of 4. We don't have to tell you the benefits of keeping plants in your home—but don't neglect to put them in your office, too. Just looking at them can help you feel more relaxed, and taking care of them will give your week an extra purpose.